How long has Perfect Body Laser & Aesthetics been in business? 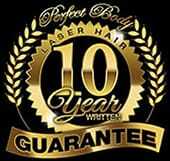 Perfect Body has been in business since 2007. Perfect Body Laser and Aesthetics® has since built a reputation of excellence by providing over 45,000 clients with the best in aesthetic and laser skin care services available. Is Perfect Body Laser certified? Yes! One of the hallmarks of a quality cosmetic enhancement facility is experience, certifications and affiliations. Perfect Body Laser has earned national recognition by Solta Medical, Valeant Aesthetics and Cynosure. We also have international cosmetic affiliations and hold current certifications in all of the laser and aesthetic modalities we offer. What makes Perfect Body different? In short, excellence & experience. Please see our “Affiliations & Awards” page for more specific information on what makes us so unique! Perfect Body always offers the initial consultation free. Up until recently, cosmetic services were often considered a luxury for the wealthy. At Perfect Body Laser our Services are actually affordable at almost any income level. The only time to evaluate the fees for procedures is at the free consultation after you have been assessed. One of the reasons it is impossible to give financial quotes ahead of time is that a quoted fee may unknowingly mislead a prospective client. What information should I bring to my consultation? Some clients like to bring pictures of them 10 years ago. This is helpful in knowing exactly what areas have aged and often can assist us in helping us choose the best treatments. No. All of our laser and aesthetic services are done with no needles, no cutting and no downtime®. Depending on the aesthetic services rendered, there may be post- treatment care and/or client participation necessary, but there is no physical downtime. Will I still look like "me" after? Are the laser services at Perfect Body Laser and Aesthetics safe? Yes. This is one of the most important questions we are asked. Perfect Body Laser and Aesthetics has a pristine reputation of clinical efficacy and safety. We only provide our clientele with safe, side-effect-free, FDA approved services. Perfect Body Laser uses only the finest and newest FDA approved technologies on the market. We offer over 100+ individual laser and aesthetic services at our Bay Shore, NY location. Please visit our “Services” section for a list of services we offer. At the initial consultation, if a client is eligible, Perfect Body Laser's expert staff will be able to map out a specific treatment plan to address your cosmetic needs. During this process, our consultants will be able to specify the amount of treatment(s) along with the frequency of the treatments, to optimize your results.